via The Anazoa Project | Rejuvenating Higher Education. via Fact or Fiction? 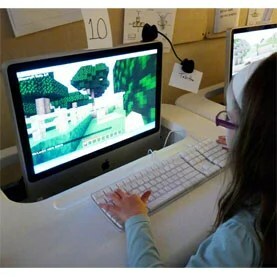 : Video Games Are the Future of Education – Scientific American. via UH – Digital History. via • Statista – The Statistics Portal for Market Data, Market Research and Market Studies. I already use 3DGameLab (http://3dgamelab.com/) in all my courses and it’s great. Check out some stuff on the “gamification sandbox” on this blog. via Laurie Paolicelli: It’s a Learned World in the Bentley Building on Franklin Street | News & Observer News & Observer. via Why Not Adjunct Administrators Instead of Adjunct Instructors? It Makes Far More Sense – The Scholarpreneur.